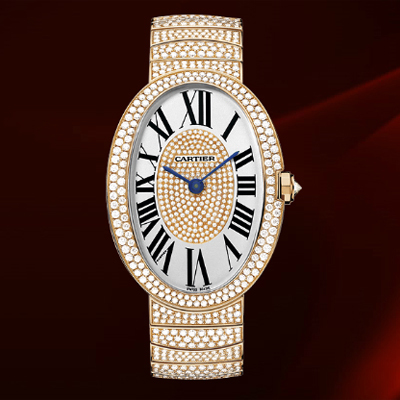 Like Royalty: Cartier Baignoire HP100325 Women's Watch. There are some watches so special, only a select few women will ever own one. And so it is with the Cartier Baignoire HP100325. Donatella Versace owns a similar one in gold, and Gerry Halliwell wears one with a satin strap. But neither owns this exquisite version of the Baignoire. Not because they can’t afford it; they certainly can. This diamond-encrusted wonder is simply very new. Made of 18K pink gold, diamonds, and a silver-grained dial set with more diamonds, Cartier’s Baignoire HP100325 is fit for a princess. It’s a glittery lavish take on an old classic. Cartier himself created the oval Baignoire in 1913 and it has remained one of the most feminine designs to grace a woman’s wrist ever since. You might be wondering “How much is this little bank account anyway?” Or maybe you are not. After all, it’s like royalty: discreet. Above reach. Elite. Cartier’s official website places this watch in the last row, after all the other Baignoires, and writes “Price upon request” under it’s picture. But I have this exclusive information and share it with you now. The Cartier Baignoire HP100325 will set you back $140,000. Assuming you are comfortable and interested in purchasing this watch, are there any drawbacks to speak of? When it comes to the workmanship, beauty, and durability of this piece, you have absolutely nothing to worry about. But buying a timepiece this valuable presents a new set of considerations, that you may or may not be aware of. If you are ever the lucky owner of this gorgeous timepiece or any piece of jewelry this grand, you must protect it. Of course, any potential buyer of this gem probably already knows what they are getting into; a purchase of this kind is akin to buying a house or a car. 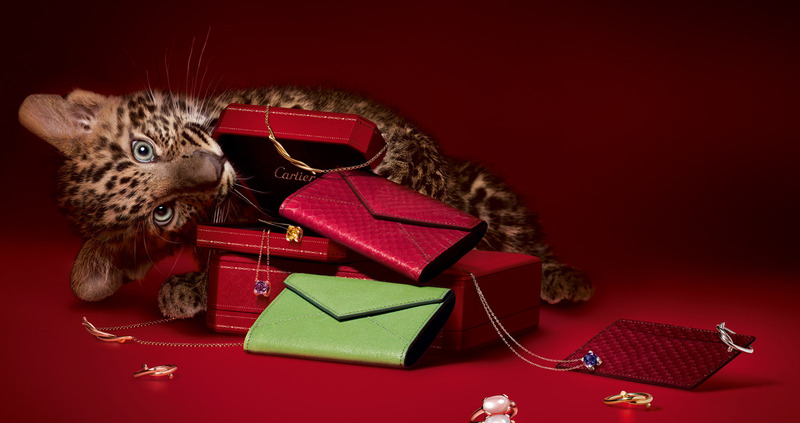 Indeed, the richness of Cartier’s Baignoire HP100325 is what makes it so beautiful but also makes it a responsibility to own. But I am willing to wager that for those who take it on, there will not be any complaints.